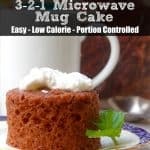 I have a new favorite slow cooker sweet potato recipe. 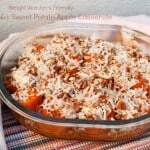 This slow cooker sweet potato apple casserole. 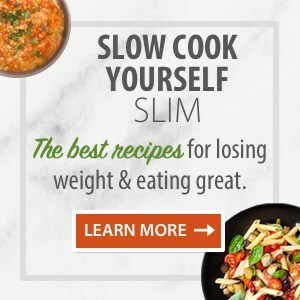 Prior to discovering it in Fix-It and Forget-It New Cookbook: 250 New Delicious Slow Cooker Recipes (affiliate link) and testing it out, my favorite crock pot sweet potato dish had been this Slow Cooker Sweet Potato Applesauce recipe from Betty Crocker. It had become my go-to way to prepare sweet potatoes for Thanksgiving. Can you believe that Thanksgiving is less than two weeks away? 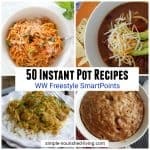 I’ve gotta get a move on if I’m going to cook and post all the great slow cooker Thanksgiving recipes I wanted to try! 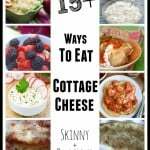 The recipe instructions said to cook this slow cooker casserole directly in a 2- to 3-Quart crock pot. But, I decided to put it in a 1-1/2-quart casserole dish (affiliate link) that I placed inside my 6-Quart cooker instead. I cut back just a little on the butter, coconut and brown sugar since we don’t like our sweet potatoes too sweet. Both Rod and I loved the combination of textures and flavors. It’s definitely a recipe I plan to make again. 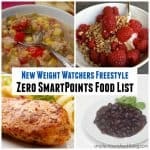 According to my calculations, each serving has 237 calories, *6 Weight Watchers PointsPlus, *7 WW Freestyle SmartPoints. Enjoy! This slow cooker sweet potato casserole, adapted from the Fix-It and Forget-It New Cookbook, is my latest favorite slow cooker sweet potato recipe. Ideal slow cooker size 2- to 3-Quart. Coat a baking dish that will fit in your slow cooker with nonstick cooking spray. Arrange half the sweet potato slices in the baking dish. Cover the sweet potatoes with the apple slices. Arrange the remaining sweet potato slices over the apples. Sprinkle with the remaining brown sugar mixture. Drizzle melted butter over the sweet potatoes. Cover and cook on LOW until the sweet potatoes are tender when pierced with a fork, about 5 to 7 hours. 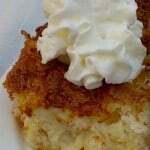 Combine the coconut and chopped pecans and sprinkle over the sweet potato apple casserole. Uncover and cook 10 minutes more. 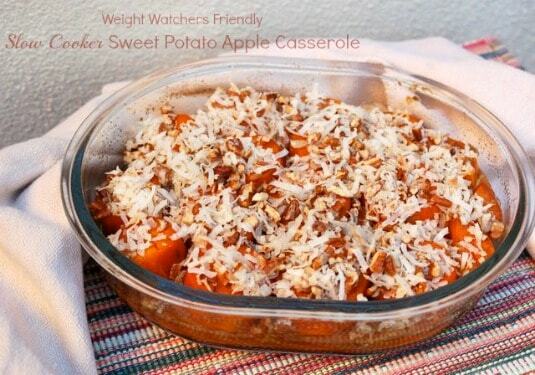 Here’s what I used to make this easy and delicious slow cooker sweet potato apple casserole! Do you know what the points would be for the sweet potato apple casserole if the pecans were omitted? 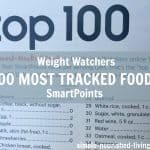 According to my calculations 1/4 cup has 210 calories so if you divide 210 calories by 8 servings that equates to 26 calories a serving from the nuts. If you eliminate them, subtract 1 WW Points+. Hope this helps!! Did you elevate the casserole dish on mason jar lids? I didn’t Jennifer but you could if you want. Thanks for replying so quickly. Happy Thanksgiving to you and your family. Do you 5hunk I could use butternut squash in place of sweet potatoes? Hi Sue, I haven’t tried it with Butternut squash but think it would work fine. If you try it let us know how it turns out for you!